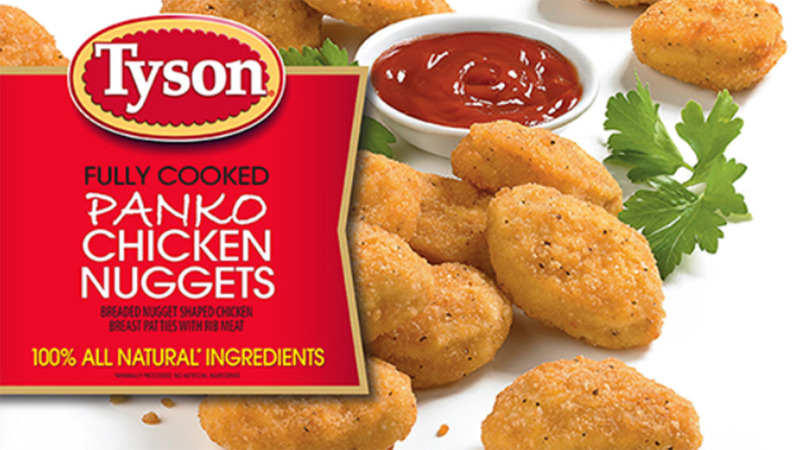 Tyson Foods Inc. says it's voluntarily recalling more than 132,000 pounds of chicken nuggets. SPRINGDALE, AR -- Tyson Foods Inc. says it's voluntarily recalling more than 132,000 pounds of chicken nuggets after receiving reports that "hard, white plastic" was found in some nuggets. Tyson says "a small number" of consumers contacted the company after finding small pieces of plastic in the chicken. Tyson says it's issuing the recall "out of an abundance of caution" even though it's only received a small number of reports of plastic. No injuries have been reported.